A hallmark of my considerable success in directing fill-ups of new senior living properties and turn-arounds of under-performing communities has been a focus on enhanced resident lifestyles as the foundation for effective marketing campaigns. Energizing and elevating the level of activity programming makes meaningful interaction between prospects and current residents possible. This contrasts with traditional industry marketing principles that emphasize large socially-oriented events. Under the WOW theory, an over-whelming impression is made on the prospective residents (and/or their adult children) once they are persuaded to get through the doors. With the money invested by ownership in upscale furnishings, etc., this has been somewhat and sometimes effective in helping evolve the “rest home” perception for many of the “Greatest Generation”. 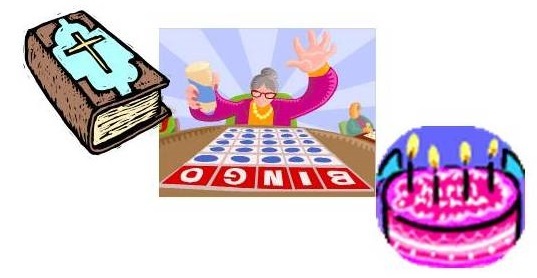 To illustrate the difference between these concepts, two examples of marketing events are described below: a) traditional Dessert Extravaganza and b) a combined marketing and activity program such as the “Older Adults Mind, Body & Spirit Olympics”. You decide which approach stimulates the greater likelihood of a move-in. This type of event is organized under the “shotgun” approach” with the expectation that enough invitations mailed out to prospects (regardless of their defined interests, etc.) will lead to enough attendance with enough prospects being “WOWED” to lead to move-ins. Therefore, invitations are typically issued to everyone on the prospect list. A substantial number of guests (25 or more) are expected to gather for a special 2 o’clock Saturday afternoon affair. This type of event requires a fair amount of time and money for planning and preparation (or purchase) of a variety of baked goods, confectionary treats and other “finger foods” such as petit fours, tarts, cookies, mini-cheesecakes, eclairs, cupcakes, macarons and other pastries. It does give the Community an opportunity to showcase their “Executive Chef”, especially if s/he has talents as a baker. Each visitor registers (to qualify for door prizes – as well as for follow-up) and is encouraged to “take a tour” on a standard tour route and to view a decorated model apartment. Afterwards, they partake of the dessert buffet and then sit and (maybe) listen to a pianist or keyboard singer for a couple of hours. After that, the guests leave and the residents are served their dinner for the day. Does this scenario sound very familiar to events you’ve sponsored or attended? The point is that this is perceived as a special event for new prospects and not something that is designed to benefit / improve the lifestyle of the current residents. The PRL Olympics and similar campaigns combine ex isting activity programs with new initiatives to boost the quantity and quality of activities and resident lifestyles. Prospects are encouraged to come in, join a TEAM and participate in events with 3 – 4 current residents. Our plan is to acquaint prospective residents with rewarding and meaningful daily activities that they can expect to continue on a routine basis after they move-in. We strive to promote their level of independence while introducing them to new experiences and lifelong learning opportunities. These are actually provided during the event(s) – not just “promised” for some time in the future. PRL takes a holistic approach to our combined activity / marketing events by challenging the participants’ mind and body while improving their spirits through socialization and fostering of new relationships with other prospects and current residents. This also induces a certain degree of peer pressure that is beneficial in encouraging the prospect to move in. The prospect (“Mary Jones”) arrives and registers. She is greeted by Sally, John and Mabel from the Community. Along with one more prospect or resident, this will make up an Olympic TEAM. The TEAM will find a seat and be asked to complete a 10-Question Quiz about Brazil and the Summer Olympics. The answer booklets serve as the registration for prizes for correct answers and door prizes. The Opening Ceremony will include an overview of the games with basic rules and a LifeLong Learning Seminar re. Rio de Janiero, Brazil and the Olympics. Next, the TEAM will participate in a seated Beachball Volleyball Tournament. Mary will have lunch with her teammates. She can take a tour whenever she has down time between events – at her convenience! Mary will be taught how to win at Sudoku and her team will play Tournament Sudoku utilizing the special PRL Magnetic Board. Next, the Team will participate in the seated basketball H-O-R-S-E contest. Finally, Mary and her Team will join in the special Steeplechase Horse Racing challenge before dinner. Bicycle: How long will it take to pedal a mile on a stationary recumbent bike or Nu-Step machine? Then “Power-walk” a course through the building’s corridors. Target Shooting: Use a Nerf Gun to shoot 5 targets. Balance Beam & Agility Drill: Staying on the ground (unlike the Women’s Gymnastics), they will walk the “balance beam” and navigate an agility course between orange cones. Big Board Scrabble: Mary will challenge her vocabulary skills in the TEAM Scrabble tournament. Olympic Golf will be the focus after lunch. Mary will compete on a 9-hole course that is comprised of part Wii Golf holes and part different putting games. Then she will be taught (if necessary) how to use a computer mouse to compete in solving jigsaw puzzles on a timed basis. Discus: A Frisbee is used to sail for distance to emulate this event. Shot Put: A softball will be “put” from a seated position with maximum distance measured. The last TEAM events for Mary will be the simulated “100M Dash” and the “5x100M Relay”. 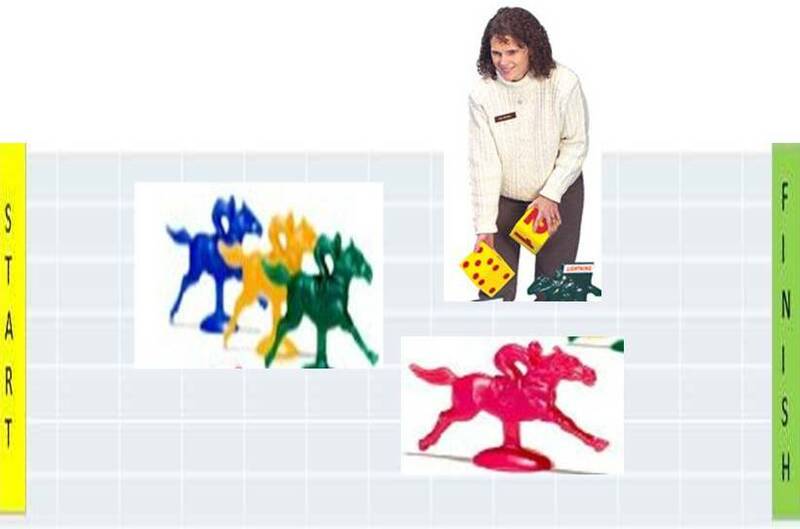 These are set up similar to the horse racing game with movements and winners determined by roll of the dice. Award Certificates will be presented in a ceremony during lunch. Afterwards, guests are invited for a “formal” tour of the Community. Whether the event is held for 1 day or 3 days (as in this example), the prospects will begin a process of integration into the daily living of the Community that should soften the “transition trauma” of a future move-in. The visitors will have received a casual tour of the Community as they participated in various events in different parts of the building. They will have built new relationships with their future neighbors, enjoyed several meals similar to what they can expect in the future, have learned new skills and information and had FUN with an enjoyable and positive experience. Most importantly, the event has gone a long way towards dispelling fears about living in a senior living community. The prospect is given insight into the interactive lifestyle that allows them to continue to maintain their independence and dignity as they LIVE in their new prospective home. We believe this will encourage positive feedback and receptivity to follow-up by the sales & marketing staff. If you would like to learn more about how you can implement the innovative and contemporary “Older Adults Mind, Body & Spirit Olympics” for your senior living community, please contact Art Carr directly at art@progressiveretirement.com or 615-414-5217. [i] The Greatest Generation has been the predominant driving force in the evolution of senior care / living facilities from skilled nursing to independent retirement centers over the past 30 – 40 years. As the World War II era population dies away, smart operators must evolve their methods to remain relevant to newer generations. [ii] According to Maslow’s Hierarchy of Needs, people of all ages will continually seek satisfaction of these higher level needs. Baseball can teach lessons to our Senior Living Marketing & Sales Teams- as well as Management and Ownership. As this picture depicts, the Greatest Hitters in the history of baseball made outs more often than they got hits. They became All-Stars because they kept trying, learned from every “at bat” and then used that knowledge to get better the next time. Realistic Expectations. Management & Owners should NOT expect every person who walks through the door to become an immediate move-in. “Move-ins are a Process, not an Event”[i] and, generally, the sales & marketing staff must build a relationship with the prospective resident and/or their family before the move-in will occur. Positive Attitude. Just as the Batter must go to the plate anticipating that they will hit the ball, the sales staff must be prepared to “close” every encounter with a prospect and capitalize on every opportunity to connect with them. A batter will surely go into a slump if they lose faith in their ability to hit the ball! The same is true for the salesperson who loses confidence in their product or their ability to relate to the customer. Everyone is Not Equal. Managers set the line-up to give their best hitters the best opportunity to make meaningful hits that give the TEAM the best chance to win the game. Successful Senior Living Management understands the difference between anyone[ii] being able to show someone around the community and a professional tour conducted by a Super-Star. They make sure that all “tour guides” are properly trained and have the personality and tools to effectively “close” a move-in. Multiple Chances to get a hit During the Game. A tour should be viewed as parallel to the 9-inning baseball game in which the starting players get at least 3 chances to hit. The sales staff should develop multiple opportunities to “close” during a tour, and not simply wait until the 9th inning (i.e. the end of the tour) to try and score. Take What They Give You! Great hitters can’t always wait for the perfect pitch and the perfect pitch count[iii] before they swing at the ball. They are opportunistic and prepared to swing when they get a pitch “right down the middle of the plate”. The sales staff should do the same when conducting a tour and learn to STOP the tour and sales spiel; sit down and move to closing when the prospect provides them the right cues that they are ready. Numbers Game. No one is going to get a hit every time they go to bat or successfully close every time they interact with a prospect. Success does depend on NUMBERS → the more “at-bats” for the baseball player and the number of leads / prospects and interactions with them by the Sales Team. Sometimes a Walk is as Good as a Hit! In baseball, the key is to get runners on base, so even if the All Star walked instead of getting a hit, he has contributed to the Team’s ability to win. AND, the batter frequently had to work just as hard to get the walk. In senior living, the comparable might be a person asking for a tour who states up front that “I’m just looking” – possibly for another family member. The sales person should put just as much effort into providing a first-class tour because it may lead to the next “at bat” when the prospect returns and/or makes a referral to others. Short Memory. Ballplayers state that you must have a short memory to be successful. Whether they hit a home run or struck out in their previous at-bat, they must forget it the next time they come to the plate. Worrying about the last time (or even what they did in the field) doesn’t allow them to “keep their mind in the game” and focus on the current situation. The same rule applies to senior living sales, where the sales staff will generally have multiple contacts (in person [e.g. tours], phone calls, social media, etc.) with different prospects during the day. They must focus on each of those interactions as they occur, regardless of what happened with the previous contact, if they wish to have the greatest chance of success with each prospect. Prepare for every scheduled encounter with a prospect or family. Review notes from prior interactions and determine “hot buttons”. Know which apartments you plan to show during a tour[iv], plan the route to those units and preview the route / apartment to insure no surprises during the tour. Learn something about the prospect from every visit and record it to assist in future meetings. Takes a Team. No one baseball player will win a championship. No matter how good a hitter they are, they are only 1/9th of the Team at any point in time. 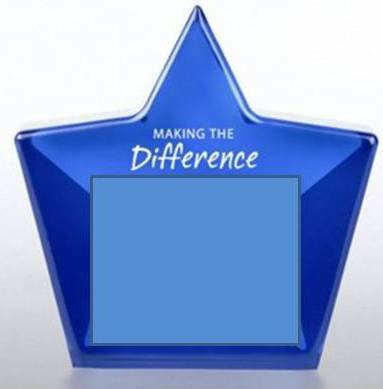 Without contributions from other team members, the All Star would have minimal chance of success. [vii] Activities, housekeeping, food services, care services, maintenance, etc. all play a role in the presentation of the senior living community. A move-in should generate a Celebration for this entire TEAM! [i] See https://progressiveretirement.wordpress.com/2011/04/01/move-ins/ for a further discussion on this topic. [ii] I once had an E.D. who insisted that every one of her care assistants could conduct a tour and that she didn’t need to spend the money for a designated “marketer” – even though the building was in declining occupancy with about a 50% census. [iv] These should be based upon the type of accommodation(s) that the prospect will likely prefer. [v] This may seem like a contradiction with #3, but it is not really. The critique should be done, noted and then move on to the next encounter – not dwelling on the past. There is always room for improvement. [vii] If nothing else, the opposition could simply walk them every time they came up and they would never even get a chance to hit! 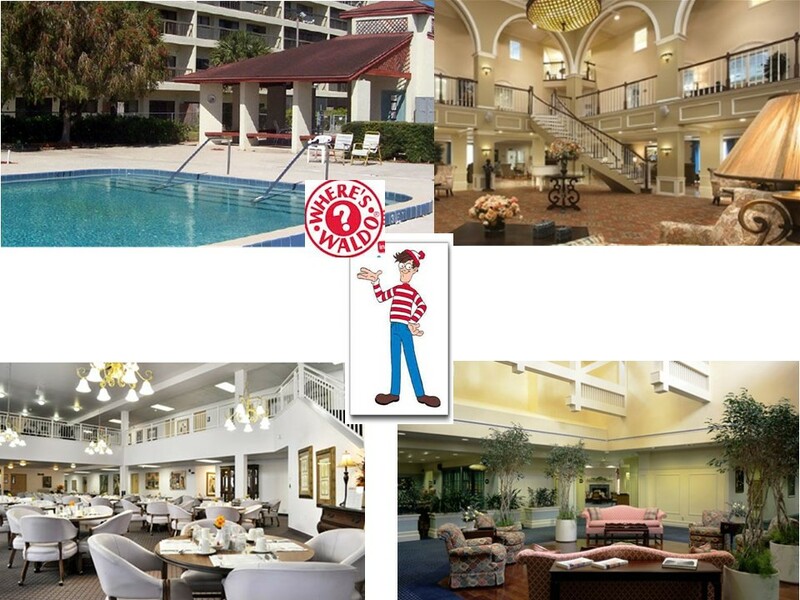 “Where’s Waldo” children’s books[i] ask kids to locate the red-and-white-striped shirt character in a series of camouflaged illustrations. BUT, “C’mon man … we’ve been talking about selling LIFESTYLES and not just real estate for over a decade! These pictures – and many more like them on the internet – SCREAM REAL ESTATE SALE! C’mon man … this swimming pool is NO different from the pool at the local multi-family apartment complex. This dining room could be at a nearby campus dormitory and the other shots could be in a hotel lobby. WHERE’S WALDO? I know, I know: the experts say that you shouldn’t show elderly people in your ads; that the prospects won’t relate to the images of the showcased older residents or the advertised community. They’ll say, “I’m not like them; that’s not the level of service I need!” If the depicted residents appear to need assistance with their daily activities, the concern is that “higher-functioning” prospects will say “I’m not READY YET!” Other views of active adults may be criticized as “unrealistic”. Thus, we default to sterile pictures of the real estate features and leave it up to the prospects to use their own imagination to picture themselves in that setting. That approach may work for family housing when buyers customize their “new home” to fit their individual tastes. WE ARE DIFFERENT in Senior Living! We provide “communal living” and should SHOWCASE what we offer. Do we really expect people to want to live in a museum-like environment where you can “look but don’t touch”? Isn’t that the message that pictures without human beings conveys? Residents actively participating in a water aerobics class (if you are lucky enough to have an on-site swimming pool) is much more meaningful for a potential resident and their family than the passive picture shown above. Residents sharing a meal with their new acquaintances in the dining room would be more appealing than the picture of the empty dining hall. Residents using the common area spaces by participating in an activity there – or at least sharing a moment in conversation with other residents – shows that the building is ALIVE! I’m ART CARR and understand that this is a controversial topic, but am convinced that my Progressive Retirement Lifestyles concepts create Superior Senior Lifestyles that promote increased occupancy. I welcome your contact at 615-414-5217 or via email at art@progressiveretirement.com to learn more about the potential of the exciting Progressive Retirement Lifestyles program. PLEASE SHARE THIS ARTICLE WITH OTHERS IN THE INDUSTRY AND POST YOUR COMMENTS. [ii] These are just a sampling of the vast number of similar pictures posted on community sites and are offered as a representative group for the industry as a whole. For that reason, specific communities and/or companies are not identified. C’mon Man … Show Some Respect! This independent living ad targets prospective residents, and/or their families, who are ready to turn lifestyle management over to the facility. This “needs-based” approach has contributed to higher average-aged residents, older residents at move-in and shorter lengths of stay. It has also led some experts to question whether the recent building boom in senior housing will create a supply that outpaces demand[ii], even with the influx of baby boomers into the “senior” classification. We must promote independence with dignity and respect to meet the positive aging demands of newer, higher-functioning generations and attract adequate numbers of potential residents. The dated “rest home” mentality was based on this principle that older adults no longer contribute to society and must be “cared for” in sheltered facilities at their end of life. Current and prospective residents have been responsible adults for most of their lives and don’t want to just have “fun” all day. They lived an active and productive lifestyle BEFORE deciding to move into a senior living community and most desire to retain as much normalcy in their lives as possible. Progressive Retirement Lifestyles (“PRL”) draws its scientific basis from Maslow’s Hierarchy of Needs. In order to continue satisfying the higher level needs – e.g. EGO – of older people, our senior living communities must provide mental and physical challenges for their residents with a diverse array of activities. The “3 B’s”[iv] – Birthday, Bible and Bingo – simply won’t cut it anymore! Our programs respect and foster the desires of many residents to continue “contributing” in some way – by helping others within the community, by volunteering and/or by providing service to others “less fortunate”. “Worry” is a natural part of living and most mature adults don’t want to be treated as though they can’t “act” or “think” for themselves. They don’t expect to just “sit back” and be treated like children with every minute of their day planned for them. The PRL concept has proven successful by offering multiple daily lifestyle options, while allowing the residents to make their own independent choices. The only specific “activity” highlighted in the flyer was a “Chef Showcase: Waffle Bar”, which is more “demonstration cooking” than a true resident activity. At best, this is a passive event with residents and other spectators being entertained by the Chef. Although entertainment is an important ingredient, PRL emphasizes interactive lifestyles with active participation by the residents in activity programs. Unless the “waffle bar” is available every week, there is a risk that current residents will complain that the activity is just a marketing ploy and NOT a lifestyle feature. PRL is a combined operations and marketing approach that enhances operations first and THEN invites prospects to participate in on-going programs. The PRL program was developed to adapt to the evolving market and promote additional demand by respecting the prior life achievements and recognizing the on-going capabilities of newer generations of seniors. PRL creates positive differentiation from the competition by providing and marketing a more robust lifestyle with a greater quality, quantity and variety of stimulating age-appropriate activities than was frequently the case in the past. I am Art Carr, the creator of the unique Progressive Retirement Lifestyles program and welcome your comments. PLEASE POST YOUR OPINION about whether you agree or disagree with these observations and share this article with those who might appreciate it. Please contact me at 615-414-5217 or via email at art@progressiveretirement.com to learn more about the exciting Progressive Retirement Lifestyles program and its potential to enhance operations and serve as the foundation for improved occupancy. [i] This approach enabled me to build a regional census 6 points higher than the national average and lead the fill-up of several new buildings, as well as stimulating turnarounds of other under-performing communities. [iv] With a thank you to Sara Elizabeth Hamm who first “coined” this phrase. for the Seniors we Serve! Happy 4th of July. We celebrate the courage of the patriots who fought for our independence over 200 years ago. 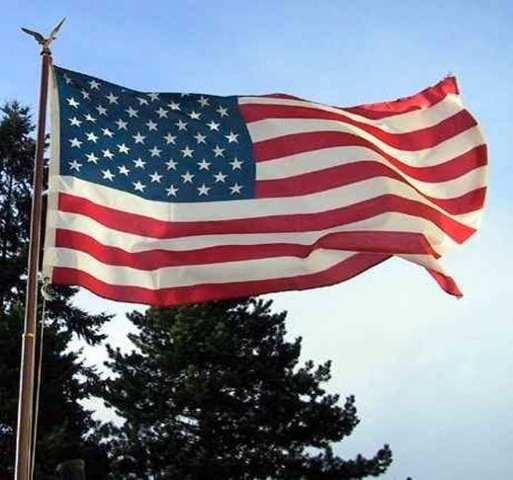 But, Please take a moment this long holiday weekend to appreciate all of the seniors in our US society who have contributed in some way to our freedoms and way of life today. Show them the respect they deserve and the right to maintain their highest possible level of independence — regardless of their current situation! Are You Prepared to “Age-in-Place” ? 91% of seniors surveyed stated a preference to remain in their own homes as they age in a study conducted by The Global Social Enterprise Initiative of the Georgetown University McDonough School of Business in conjunction with Phillips Healthcare. 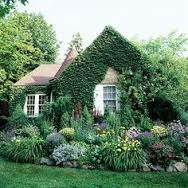 This is a natural tendency because of the emotional attachment to our vine covered cottage/home where we’ve lived for up to 30 years and raised our families. In addition the equity in our personal residence is often a major part of our financial security. The past decade has seen the development of significant technological advances in the so-called “smart home” that could be beneficial in enabling an aging adult to stay in their home for a longer period of time before considering a move into a structured senior living community. Various technology devices (e.g. automatic stove-top shutoffs) provide additional security and peace-of-mind for the senior and/or their adult children. 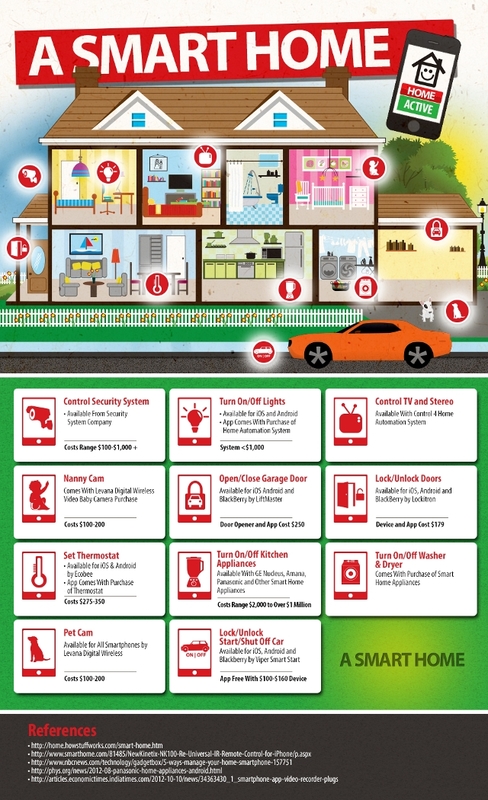 Yet, only about half of the surveyed individuals plan to adopt this smart technology in their homes. Of those declining to consider the use of this technology, 23% said that they “don’t even know where to start” with 42% stating that it is “too expensive.” The remaining 25% just said they weren’t interested. MySeniorPortal.com periodically identifies smart technologies and other home improvements to enable adults to age successfully and connects subscribers with the providers that offer these services. We know that 1 in 3 individuals over 65 will suffer a fall each year. These falls may necessitate a hospital stay and a rehabilitation or long term care stay during recovery from strains or broken bones. Unfortunately, a fall is often the precursor of a general decline in a senior’s health, forcing them to consider living options other than their own “home”. We also know that older people tend to have more difficulty in sleeping and frequently get up at some time during the night to visit the bathroom. This is a prime time for a debilitating fall. One example of smart home technology that could minimize these risks is a passive monitoring device that detects when the senior gets up out of their bed. That device then alerts a series of knee-height mounted LED lights that turn on to illuminate the path to the toilet. The senior (even one with a tendency to get “confused”) doesn’t have to turn on a series of lights (and get “blinded” by the bright light in the middle of the night), the light is directed to the floor, which minimizes the risk of tripping, and the light pattern guides them to the toilet – thus reducing the incidence of incontinence! Smart technology and other home improvements and modifications can facilitate your ability to age-in-place in your current home. Where will you be at 6:24pm (ET) on the first Saturday in May? 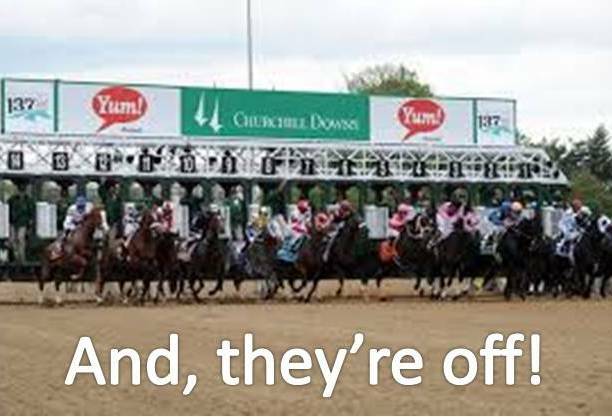 If you’re a “Kentucky Colonel”, you might be in the grandstand at Churchill Downs in Louisville, KY for the Kentucky Derby → sipping a mint julep. Millions of others will be watching the Run for the Roses on their local NBC station on TV. And, the tech-savvy may be live-streaming via the internet on their computers and/or smart phones. What about the Residents of your Senior Living Community? Does the race fall right in the middle of their normal evening meal? Do you have any activities planned around Derby Week? Are you missing the chance to provide a venue for your residents to share an activity with their family & friends? What about your Future Prospective Residents? Are you missing an opportunity to involve them in a social event & interact with current residents? Are they missing out on the excitement by – at best – sitting at home ALONE and watching the race on their small screen TV? Use your big-screen TV to broadcast the race; coverage begins at 4 Eastern. 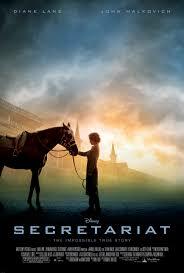 Set up chairs, pop some popcorn and treat the Derby similar to a movie. Put up flyers in the community to let residents know of the opportunity to participate – instead of sitting in their room. Get on the phone and invite prospects to attend. In 3 days, one community was able to get 100 participants for a 4th of July picnic by using this approach. Ask your current residents if they have any friends who “always use to love the Kentucky Derby” and invite them as the guest of the resident. Ask your culinary services department to create a “Social Hour” before dinner on Saturday evening. Serve mint juleps and crudités for residents and guests. You’ll turn Saturday into a memorable day instead of a day with just filler activities! BETTER: Download the sheet music and have a musician play the full song on the community piano as the group sings along. ALTERNATIVELY, download the music and have a karaoke contest. GOOD: Change the meal time on Saturday so that the evening meal doesn’t conflict with the Derby broadcast. BETTER: Extend serving times to permit those residents wanting to see the race to eat early (or late – depending on your time zone) while others who aren’t interested in the event may stay with their “routine”. BEST: Since the dining room is frequently one of the largest rooms in the building and because the race itself only lasts a little over 2 minutes, move several big screen TVs into the dining room and suspend dinner service “when the bell rings”. That way, everyone can see the race. On average, aging adult prospects require multiple touches before they make the decision to move into a senior living community. Therefore, we create a series of events – some small, some larger – that revolve around the same theme to keep the prospect coming back into the building. Thoroughbred horse racing’s Triple Crown series begins with the Kentucky Derby, continues with the Preakness three weeks later and the Belmont Stakes on the 5th Saturday following the Derby. This gives you a wonderful window of opportunity to provide some unique programs for your residents while building the relationship with prospects that will result in a move-in. Invite the prospects (and their family when appropriate) to attend as many sessions as possible and encourage their interaction with existing residents. o Guest speakers if available in your area. GOOD: Ask the questions during a meal and/or in a group session. BEST: Use the questions as the basis for a computer learning class; teaching the residents how to research the answers on the internet. o When was the last Triple Crown winner[iv]? o What horse holds the record for the fastest time in the Belmont Stakes[v]? 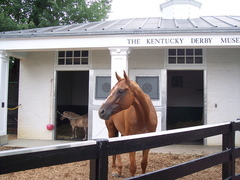 o When was the first official Kentucky Derby held[vi]? 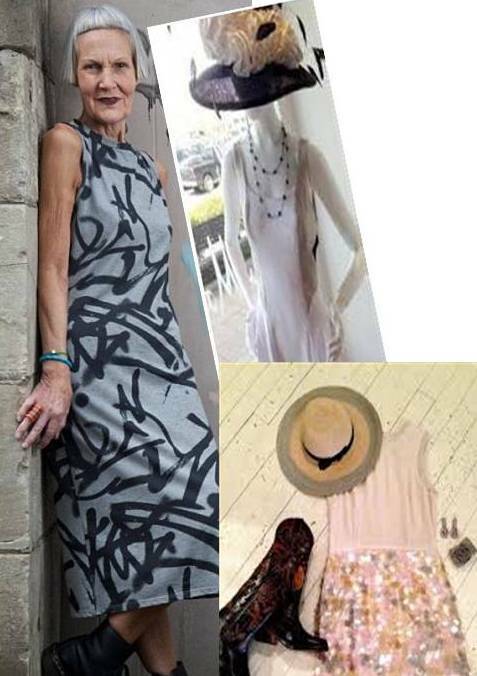 Whether attending the Kentucky Derby in Louisville, the Iroquois Steeplechase in Nashville, or other signature race, the ladies will be “dressed to the nines” with a high-fashion, usually expensive hat[vii]. GOOD: Have a “Best Hat” contest with residents wearing their hats to a designated meal. Then residents and staff vote on the best hats. This supports the EGO need as identified by Maslow for the winners. BETTER: Meet SOCIALIZATION and FULFILLMENT needs by creating a craft class in which the residents (YES, it could include the men as well) are taught to design and decorate their own hats. Your local craft store may be able to provide an instructor for a reasonable price. This is better because it stimulates creativity and doesn’t exclude residents who can’t afford an expensive hat. o Make sure to take everyone’s picture in their “creation” and post the pictures: digital photo frame, website, social media – Facebook, etc., make a YouTube video, print and turn into a collage to post in the lobby. Use in a storyboard for your next booth at the Senior Expo, etc. Print and turn into postcards à send to family members and then use for marketing. 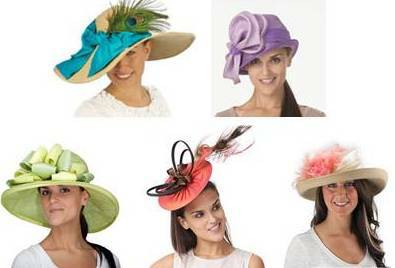 o This is a good time to look for volunteers with millinery skills: maybe a staff member or family of a resident. You might also ask for donations of craft materials. o Develop several different criteria for judging the hats: most creative, best looking, most unusual theme, etc. o Set up an exhibit with the top winners in a display case. o MARKETING: invite prospects to participate in a limited number of the craft classes. ♠ You may want to charge them something for the materials, while pointing out that resident participation is “free”. ♠ You’ll probably want to limit eligibility for the actual hat contact to current residents – although prospect should be encouraged to wear their “fancy hat” to the event(s). ♠ Use the craft classes as a means of developing new relationships with existing residents. These relationships will serve as a magnet for future move-ins. BEST: Plan a full “Spring Fashion Show” to tie in with one of the Triple Crown races. Help the residents arrange their outfits to coordinate with their hats. Solicit assistance from the adult daughters for help with make-up, etc. This is a chance for “Momma to shine”. ♥ Create inter-generational sharing by interacting with a high school or local college class → homemaker, fashion design classes or even drama clubs who might help prepare backdrops, etc. Every student that participates represents an opportunity for another adult parent / grandparent to tour your community! ♥ Contact a local department store and solicit their support of the fashion show. They might offer special discounts to residents and/or provide cosmetologists to help the “models” get ready. ♥ Your on-site beautician should also get involved with special prices for “the show”. ♥ Both the department store and beautician should also be asked to provide a Gift Certificate for the winners in exchange for “free” publicity in the show program. o MARKETING: This is intended to be a major marketing event to be held in the evening. As many prospects as possible should be invited to attend, but would not generally be eligible for participation. It has the potential of becoming an annual event and you want to hold participation as a carrot for move-ins. ♠ Ask the Mayor / other civic leaders to attend and be judges for the fashion show. ♠ Consider investing in a Direct Mailing to notify your target audience of your extraordinary activity and encourage their attendance & participation. ♠ Encourage each resident to provide you the names and addresses of 5 friends so you can send them personalized invitations. ♠ For the size of the crowd, it will probably be necessary to serve some type of refreshments. 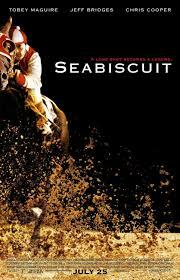 “Secretariat” and “Seabiscuit” are appropriate films to get your residents in the mood for horse racing and the Triple Crown. Of course, your older residents may prefer Mickey Rooney and Elizabeth Taylor in “National Velvet”. These can be used to build excitement and anticipation for a weekend event tied into one of the races or shown earlier in the day of the race to extend the event. 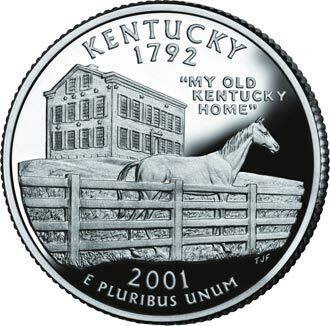 Arrange to take the residents on an outing to a local horse farm and/or horse museum. If seats are available on your bus, include one or more prospects who have participated in your horse themed events. Ultimately, the Triple Crown is about horse racing, so this is a great time to introduce casino style horse racing to your community. GOOD: The most typical games are “table-top” models similar to those used on cruise ships, which use dice to move the numbered horses “down the stretch”. 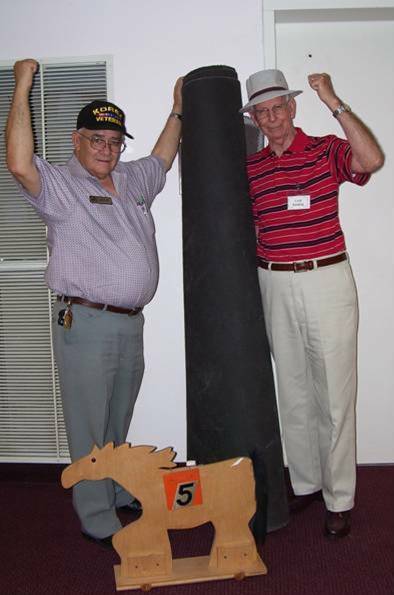 Residents “bet” on the numbered horse to be the first to cross the finish line – usually with a direct roll count of the dice. o If you already have horse rating on your Activity Calendar, your next step is to plan a marketing event and invite prospects. If you are doing a good job of updating your Prospect Management (i.e. Lead) system, you will have identified leading candidates for invitations. The key is to have multiple races over a period of several hours. We found that this works very well after the evening meal. o If you don’t have this in your Activities repertoire, it is advisable to purchase the equipment and get your residents used to it before you try to do an event with outside guests. 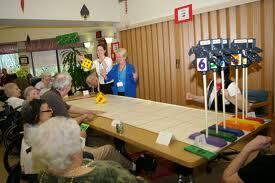 This activity generates a lot of excitement once the residents understand how it works, how to place their “bets”, etc. and will make a favorable impression on your guests. Then you just have to “follow thru” and insure that horse racing remains on your monthly activity calendars. It has been so popular in many of my buildings, that it became a weekly event. BETTER: The floor model game works the same as the table top version but is larger and easier for the participants to see and use. The game is played with six horses and a pair of large dice is used to move the horses. One of the dice is rolled (usually by different residents) to select the horse number with the points on the 2nd dice used to determine how far the selected horse will move. Versions of this floor game may be purchased from NASCO and several other on-line sources, but many appear to be made of cheap plastic and don’t appear very sturdy. BEST: My personal favorite is a hand-crafted set that is cut-out of plywood with a jigsaw with wheels added onto axles. Residents participate in moving the horses as well as rolling the dice. o This model works well for larger crowds at marketing events. o There is the potential for an unlimited number of horse “owners” who can compete with their horse in a number of “heats” /qualifying races. 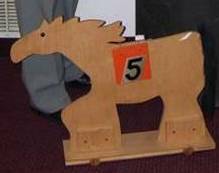 Based on a drawing before each heat (just like the real races), the 1 thru 6 number saddle is added to each horse. This adds another dimension of excitement to the event. o A major advantage of this approach is that it generates a lot of active participation by the residents. 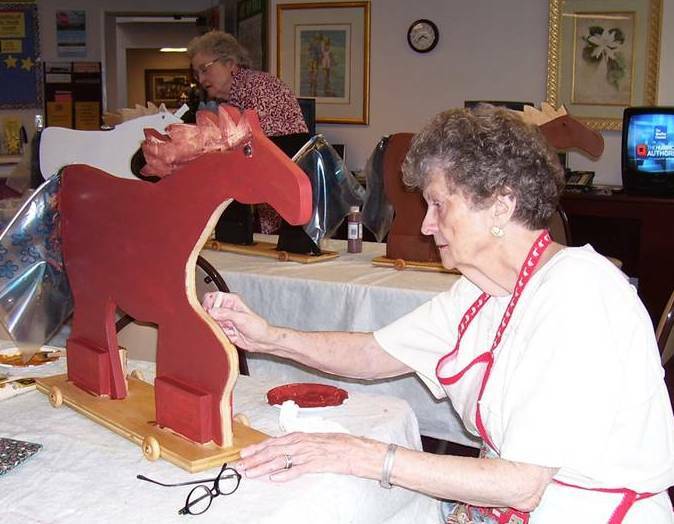 A resident or group of residents (the “syndicate”) buys their horse and then participates in several workshops to paint and decorate their horse. This gives them an opportunity for guided creativity. o You then get the opportunity for another marketing event with the “Parade of Horses” with the guests voting on various “Best in Class” categories for the horses. Examples might include “most authentic looking”, “best looking”, or “most original design”. o You could also sponsor a contest for naming of the individual horses. That is certainly more personalized and stimulates more involvement than simply having the red or blue plastic horse! o This Lifestyle Director also found that the horse races were a good opportunity to generate volunteer spirit with several of her male residents who helped set up the special rug and carried the horses to the starting line. They were quite proud of their ability to carry the heavy carpet and help out. One final suggestion for a horse themed activity that could be played as part of a marketing event. What would a horse race be without horse shoes? 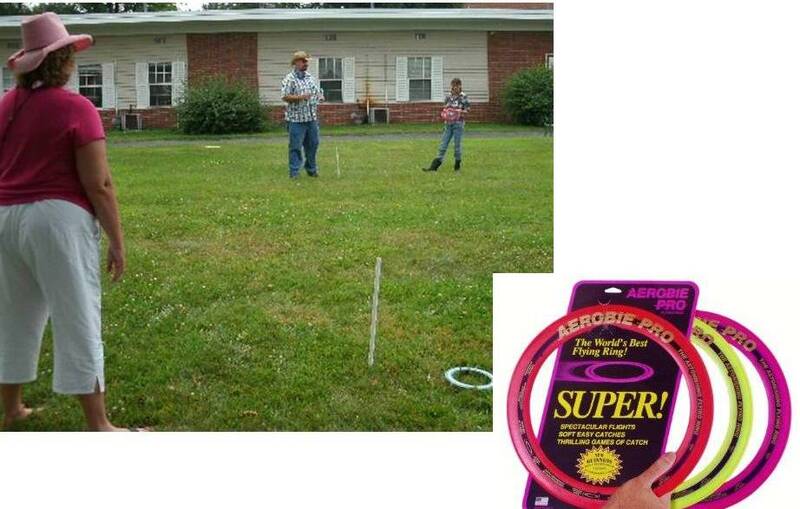 Instead of using metal horse shoes, use Frisbee rings to make the game more senior friendly. 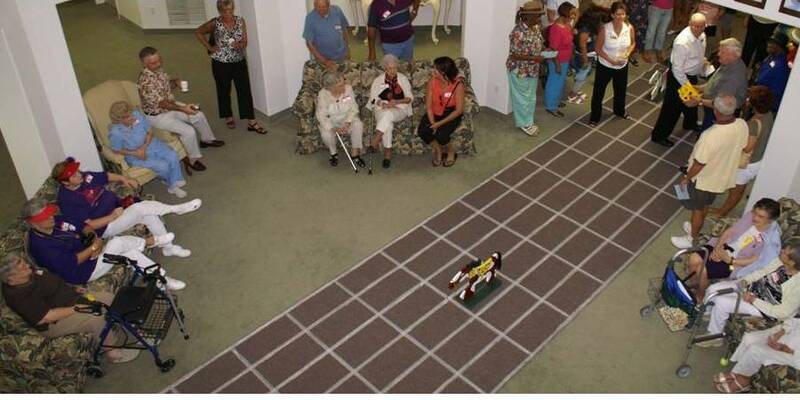 Ideally, the game is played outdoors to give the residents a chance for some “fresh air”, but can also be played indoors with the use of small plastic cones as the “poles”. Otherwise, the court and scoring are set up the same as for traditional horse shoes. 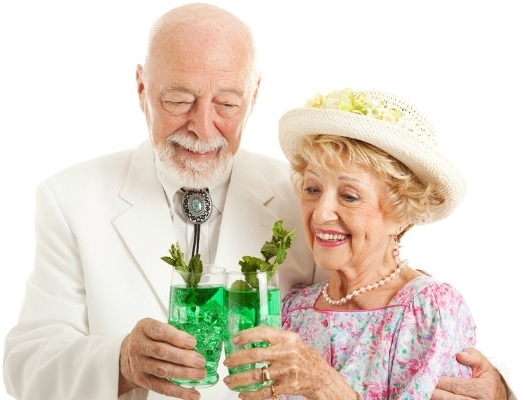 This article has demonstrated a method of taking a simple concept (inviting a few people to watch the Kentucky Derby on your Big Screen TV) and evolving it into an AWESOME 5 – 6 week program of superior activity programming that stimulates the residents to remain involved in what is going on outside the 4-walls of your senior living community. Your prospects will become excited and clearly see your community as a “cut above” the competition and be encouraged to move-in. GOOD LUCK and remember that Progressive Retirement Group is available to assist should you desire assistance in designing or implementing these concepts and/or the creative marketing events described herein. 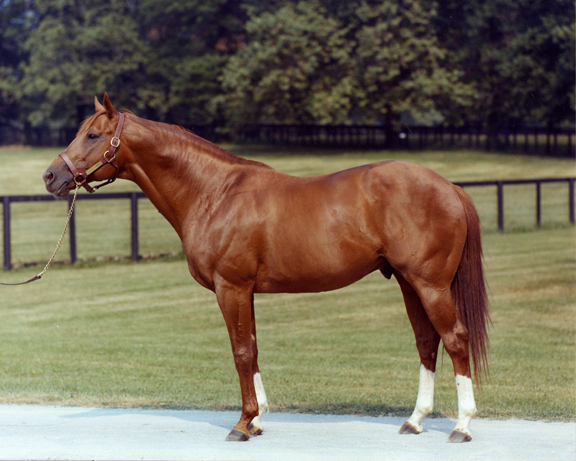 [v] Secretariat in 1973 by 31 lengths at 2 minutes and 24 seconds. TRIVIA Question: Who is the winningest Division 1 basketball coach of all time? Clue → it is NOT in a men’s basketball program and it is NOT a man. 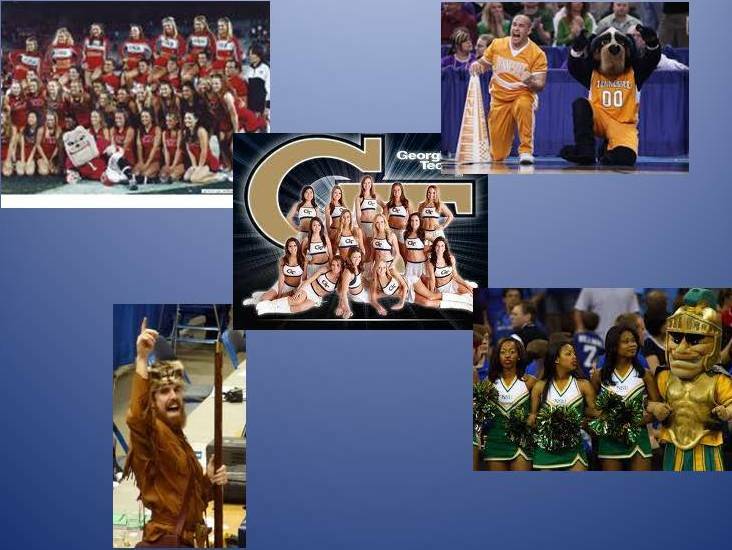 The Lady Vols along with UConn (Connecticut), South Carolina and Notre Dame are again a number one seed in the 2014 NCAA Division 1 Women’s Basketball Tournament with 1st round games beginning this weekend. Although Pat won’t be on the sideline for Tennessee (Holly Warlick now coaches the Lady Vols), other familiar coaching icons will be at t he tournament including Geno Auriemma from UConn, Tara VanDerveer with the Stanford Cardinal, and Kim Mulkey, coach of the Baylor Lady Bears. These 4 coaches have produced over 3260 victories, winning 20 national championships in a combined 115 years of coaching, and each has become an institution at their university. In total, teams from 30 states will be participating in the women’s tournament with New York having the most teams (6), followed by California and Tennessee with 5 each. Seven other states (Georgia, Indiana, Iowa, Louisiana, Oklahoma, South Carolina and Virginia) have 2 schools in the tournament. This should give you plenty of opportunity to generate competition for your residents – especially in those situations where you have both large (i.e. major conference) and smaller schools competing (e.g. Stanford vs Cal State – Northridge; LSU vs Northwestern LA, or Texas vs Prairie View). A special mention should be made for the “Black Knights” women’s basketball team of the U.S. Military Academy. Although located (and counted as a NY school) at West Point, NY, this team is really a “national” team and should receive support from across the country. Kudos to Connecticut and Notre Dame who are each undefeated in regular season and conference tournament play going into the NCAA tournament. 25 of the teams join their male counterparts at the Big Dance. The Women’s Tournament adds post-season play for 39 additional teams and gives you 5 more states to build resident support around. How about a competition between the Men’s and Women’s teams for the 25 colleges with both teams in the SHOW? Who will go farther in their tournament? The NCAA Women’s Basketball Tournament offers some challenges, but many more opportunities for meaningful dialogue and interactive programs with the predominantly female population in today’s senior living communities. One of the challenges is that the NCAA tournament has only been organized for women since 1982 so it’s unlikely any of your residents ever played in the tournament. 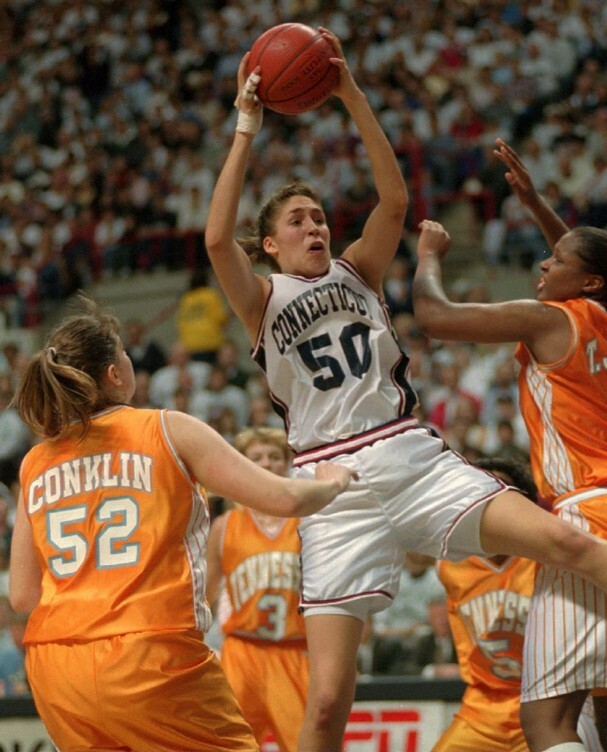 TRIVIA: Tennessee and Connecticut have won almost 50% of the National Women’s Championships with 8 titles a piece. On the other hand, most of the 1st and 2nd round games are played “on campus” with attendance a lot less than at the men’s games. Therefore, if your community is near one of the 16 tournament sites you might have the chance to actually take a group of residents to see one or more of the games. The Sweet 16 games will be played in Lincoln, NE; Stanford, CA; Notre Dame (South Bend), IN and Louisville, KY with the Final Four in Nashville, TN. One of the biggest opportunities is to create an inter-generational sharing experience for your residents, their adult daughters (bobby-soxers and baby boomers), grand-daughters and great grand-daughters. The residents and their adult daughters lived through a cultural revolution started by the United States Congress’ passage of Title IX of the Education Amendments of 1972. This legislation changed the face of women’s athletics across all levels and 10 years later led to the first NCAA Women’s Basketball Championship Tournament. 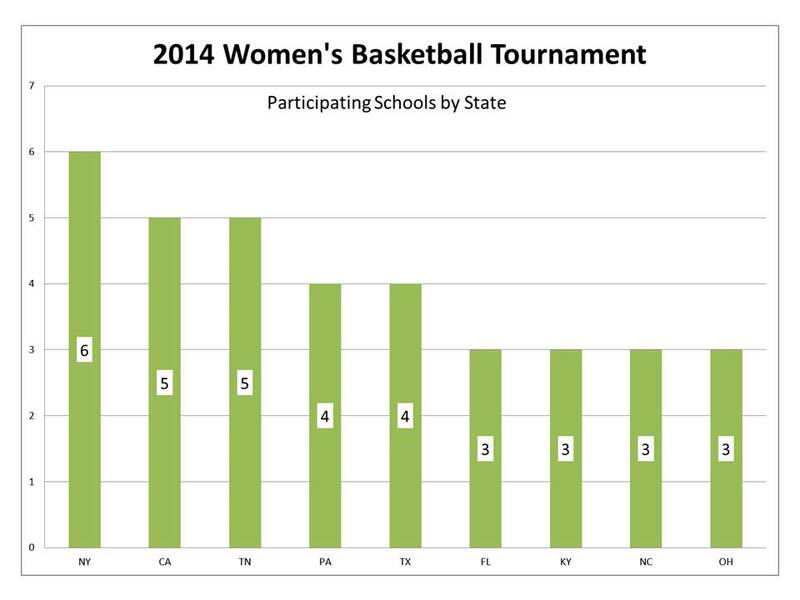 Along with the increased participation, the game of “girls” basketball itself has also seen significant change. Before Title IX (i.e. when all of the residents as well as the Bobby-soxers and many of the Baby Boomers were growing up), girls basketball was more a part of the Physical Education curriculum than a competitive sport. 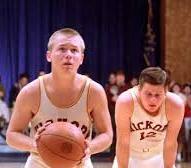 Today’s young girls would hardly recognize the half-court game, uniforms of Bermuda shorts and white blouses, and all foul shots thrown under-hand like Ollie in the movie Hoosiers! Fast breaks, rebounding “above the rim”, even dunks were foreign to the pre-1972 women’s game. SO, set up an inter-generational discussion group and encourage your residents (and prospects) and their older adult children to share their remembrances of girls basketball in the “days of yore”. Invite a local college or high school team to participate in the discussion and help them understand the legacy that they have inherited. Humphrey Bogart said, “Louie, I think this is the beginning of a beautiful friendship“ in the movie Casablanca and you can build that same type of on-going relationship with a local school team throughout the coming year. Finally, the Girl Scouts of America developed a new patch that members can earn with activities focused on the history, importance and media portrayal of women in sports. It was developed in conjunction with the 2014 NCAA Final Four in Nashville, TN and offers a tremendous opportunity for your residents to interact with the young scouts. You have all the ingredients for a dynamite activity program and customized marketing event that demonstrates appropriate respect for the life accomplishments of the residents. The potential of getting multiple generations from the same family together in your building focused on a common interest – including participation in March Madness games as discussed in a prior article – is priceless. [iii] “Landmark law faces new challenges even now”, By Greg Garber, ESPN.com, June 22, 2002. Less than twenty per cent of the 351 Division I colleges and universities get invited to the NCAA tournament each year. But that doesn’t mean that you shouldn’t proceed with the March Madness activities and events suggested in “Forget the Activity Calendar. . . ACT NOW!” [http://wp.me/pCemc-j8] if your favorite team wasn’t selected. This article includes five additional methods to tie into the excitement created by college hoops at this time of year. ♥ If you live in West Virginia, you might want to switch your focus to the National Invitation Tournament (“NIT”), which includes 32 additional teams and concludes with the final games played at Madison Square Garden in New York City. Arkansas, Indiana, Illinois, Minnesota, Mississippi and Vermont join West Virginia as additional states represented in the NIT that were excluded from the original 68 teams in the NCAA Tournament. 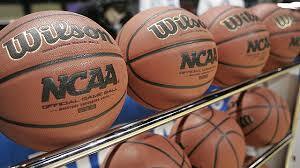 ♥ There are 32 Conferences included in the NCAA Tournament. Determine what conference that your local school belongs to and then your residents can cheer for (or against → in some cases fans will root for “my school or whoever plays ABC University!”) the Conference Champion who is at the Big Dance. 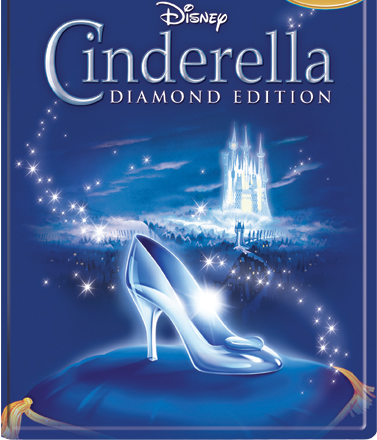 Frequently these teams from the smaller conference – who only get an automatic bid by winning their conference tournament – become the Cinderella team of the tournament. Will their trip end after one game or will they go “deep into the tournament”? Even if this doesn’t apply to your local team, let your residents pick a Cinderella team from one of the non-major conferences and support them in the tournament. ♥ There are 14 different sites where the tournament games will be played over the next 3 weeks, including Dayton, OH for the four “play-in” games on March 18 & 19. Even though there are no Indiana schools in the tournament, Indianapolis will be the location of the Midwest Regional Finals on March 28 – 30. If you are near one of these locations, there should be a lot of local press in newspapers, TV, etc. that you can tie into. You don’t have to do a full “Bracketology”, but have fun by picking the winners in the local games. Set up pools for a) largest margin of victory, b) total margin of victory (all games), c) number of overtime games, etc. Vote for favorite coach and/or player. If you’re into social media, sponsor that person online. ♥ If your local team’s season is over, contact the Athletic Department and request a visit from someone on the coaching staff and/or the Cheer Squad. Explain what you are doing to involve your aging adult residents and ask them to participate in your “life-long-learning” series by presenting a 15 – 20 presentation on how the tournaments work, etc. Tell them that you know how hard they work and that your residents want to recognize their achievements in this season as you wish them more success in the future. Build the foundation for an on-going, inter-generational relationship with the school. Consider the residents’ excitement to have the Cheer Squad do a couple of routines for them in your building and maybe have the mascot speak. If you really want to “think outside of the box”, work with the Athletic Department to create several special awards that could be presented in a ceremony at your community (e.g. Above and Beyond, All-Around Excellence, Rising Star, Leadership/Citizenship, etc.→ contact me directly for more ideas and help in implementation). This is another great way to generate “free press” and present your community in a very positive fashion. ♥ Finally, there are another 64 teams in the Women’s NCAA Basketball Tournament. Because of the preponderance of females in our resident populations, this may offer a particularly attractive alternative for celebrating March Madness, which will be addressed in a subsequent article. The important thing is to DO SOMETHING! Don’t be a slave to your published activity calendar and miss this opportunity to improve the interactive lifestyle of your residents. "Children, Please - I'd Rather Do it MYSELF!"